Where Can You Buy A Toronto Condo For Less Than $400K? 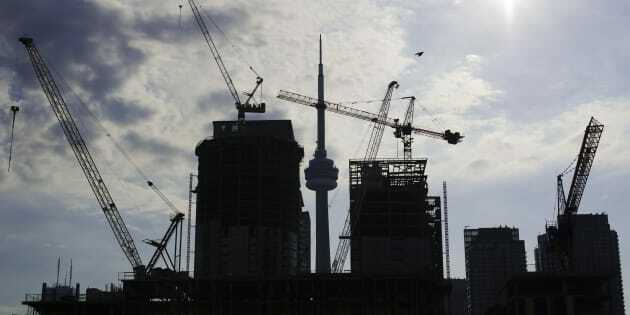 Condominiums are seen under construction in Toronto, July 10, 2011. Buying property in Toronto seems like an impossible dream for many, but there are still areas of the city where you can find more affordable options. The average price of a Toronto condo hit $602,804 this year, according to Zoocasa. With a 20 per cent down payment, a person would need a minimum income of $96,264. That's not unheard of if you have slightly more than the median income of $96,463 for households of two or more people. But if you're a single person, or you and your household make less than that, your options may seem a lot more limited. Data from Zoocasa shows there are still a number of neighbourhoods in Toronto where you can buy a condo for less than $400,000, at a much lower minimum income. The infographic below ranks Toronto's most affordable areas to buy a condo in, as well as the least affordable.